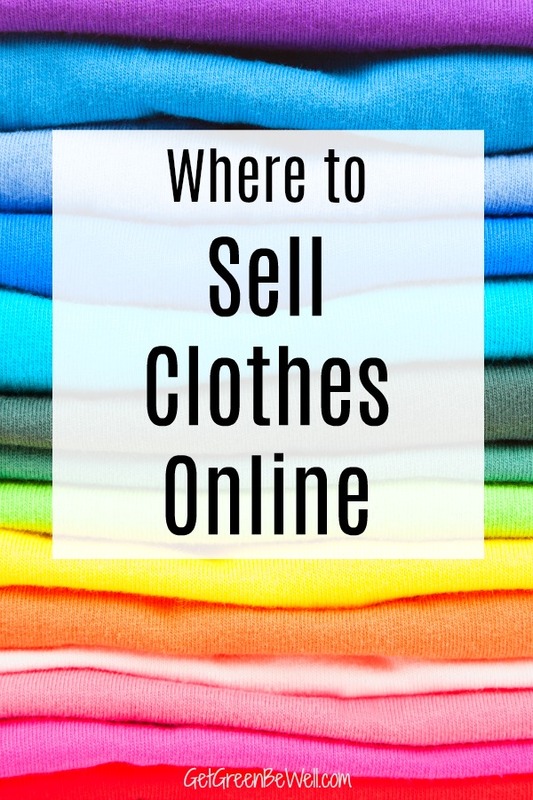 I love that so many people are wondering where to sell clothes online. My popular review about selling clothes on thredUp is full of over a 100 comments of people that want to sell their clothes online, either to make money or to help less fortunate people in their community. 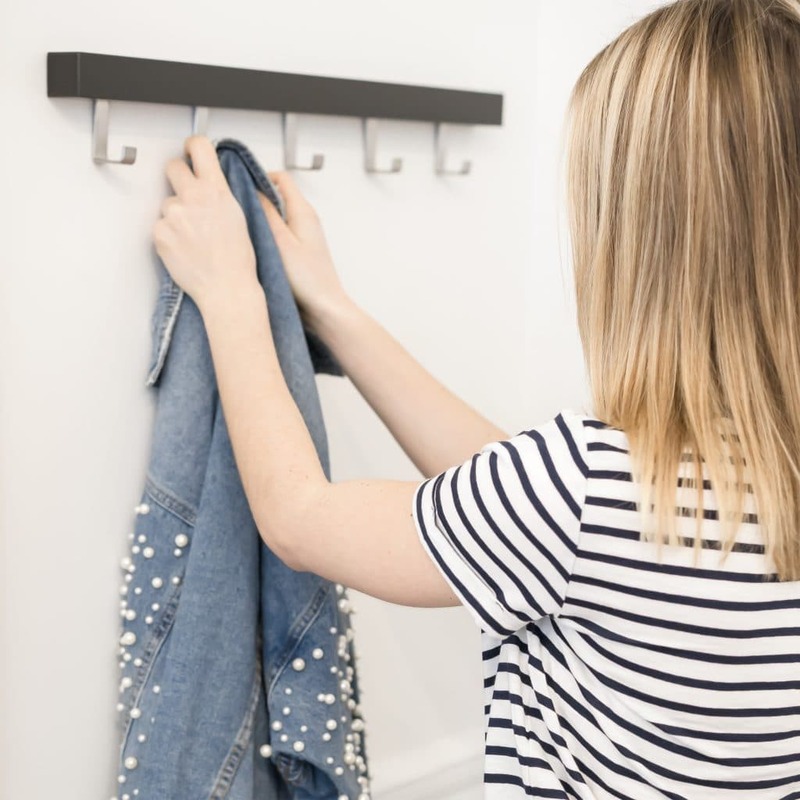 Everyone is looking for a great way to repurpose their old clothing, and it’s such an important part of sustainable fashion. Selling clothes online can bring you in some nice pocket change. Or it can leave you wondering why you spent so much time and effort on selling your clothes. Many people end up wishing they had just donated to a charity in their community. Only you can decide how much time you want to spend trying to make money selling clothes online. If you have a lot of high end fashion labels, or clothing with tags, then you’ll probably make a decent amount of money. 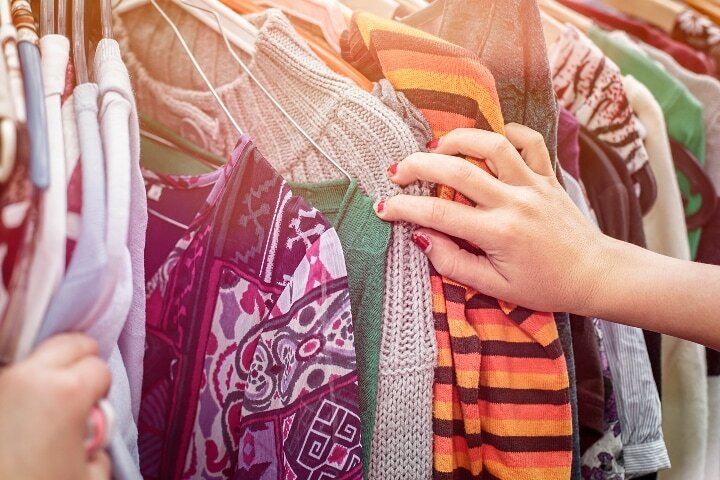 If you’re just selling a few pieces of gently used clothing, you might not feel that the effort is worth the time invested. All of these online consignment stores below also sell gently used clothing, handbags, accessories, wedding dresses or other items. They are a great place to do shopping and score great bargains. I’ve personally used online consignment sites to buy designer clothing at basement prices. My thredUp review shows how much money I made filling up a bag and sending it to thredUp. There are over 100 comments of people sharing their income reports, too, with what they sold to thredUp. When you sell clothes online with thredUp, you’ll fill a bag that they send you with clothes. You will only be paid for what they buy. Anything else will be donated, unless you pay return shipping to get the unaccepted clothes back. You will be paid in one lump sum after they make their decision. 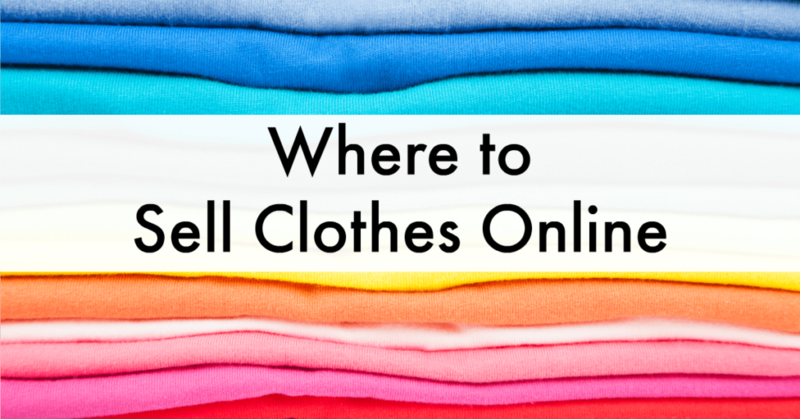 No need to wait for clothing to sell on their website or app. ThredUp buys womens and kids clothing, along with handbags and jewelry. Poshmark says its the largest social marketplace for fashion. Many people report making decent incomes on Poshmark selling clothing. Poshmark goes beyond just a selling platform and allows you to become a Seller Stylist and also participate in online selling parties. Women’s, Men’s, and Kids clothing, along with handbags and jewelry, are available to buy and sell on the website and app. Poshmark is unique in that it also allows you to sell makeup, as well. You will take a photo and upload to the site. Once a product sells, you will be responsible for packing it up to ship. A shipping label is provided by Poshmark. Poshmark takes a $2.95 commission on sales under $15. There is a 20% commission on sales over $15. Tradesy exclusively is for women. Buy and sell clothing, shoes, bags, jewelry, wedding dresses and wedding accessories. You’ll need to ship the items once they are sold. When your clothing sells online, Tradesy will deduct a 19.8% commission plus a 2.9% transfer fee if you want your money via PayPal, debit card or checking account. Save the 2.9% transfer fee deduction if you use the credit to buy products on Tradesy. LePrix is all about high end, name brand luxury goods. They say they’re the only destination to let you shop the world’s finest consignment boutiques in one place. If Chanel, Louis Vuitton, and Gucci are the labels in your closet, then you’ll do well with LePrix. While you can bring your clothing into specially selected boutiques, you can sell online from home by requesting a free consignment kit from LePrix to consign mens and womens clothing, handbags, shoes and accessories. Swap.com is similar to thredUp in that you send in your clothes to the company. You’ll get a prepaid mailing label and send clothing in for consideration. Womens, mens, kids, babies and maternity clothing are accepted to sell online. There is a seller fee starting at $11.90 regardless of how much you send in. You’ll make anywhere from 20-60% of each sale in cash, or more with a Swap.com credit. Not all of your clothes or items will be accepted. You can choose to pay for shipment of the unaccepted items back to you, or have them donated. Keep in mind that if more than 40% of your box is rejected, you’ll have to pay a fee. Which is a little frustrating since I’ve sent wonderful, great condition clothing to thredUp before and have had almost nothing accepted. The same goes for most of the people who have commented on my post. These fees start at $5. The items that are accepted will be priced by Swap.com. You’ll get money when the product sells. There is a SureSell Guarantee with Swap.com. Before I sold a lot of my clothing to thredUp, I tried selling it in a Facebook group for my community. I actually had a lot of success with selling clothes online in a Facebook group. On average, I made about $5-10 for dresses and pants in very good condition from Express and other similar clothing retailers. You will need to physically meet people when selling through Facebook groups, unless you leave merchandise on your patio for pickup and arrange for payment via PayPal or money drop of some kind. The great thing about Facebook Groups selling is that Facebook now promotes seller marketplaces with a dedicated button on the app. And you’ll keep 100% of the money. It seems like anything is sold on Craigslist. Including clothing. Craigslist is one of the few places where you can easily sell women’s, men’s and children’s clothing. Again, you’ll likely need to meet with someone to sell them the clothing. Pick a public area with lots of people around to do the transaction for your safety. But you won’t have to pay commission fees to anyone. Etsy is a great place to sell vintage and consignment clothing. It works best, though, if you have a lot to sell continuously. You’ll need to set up a storefront and there are fees involved. If you seem to always have a collection of clothing that you are selling as you buy more, then Etsy might be a great fit. I’ve sold lots of clothing on eBay. I’ve also bought a lot of clothing a long time ago. Individual items do sell, but bundling things in a group seem to work better. For instance, 3 shirts in different patterns but all the same size. You can sell anything, from clothing to sporting equipment. Mercari isn’t just about womens, mens and kids clothing. You can also sell electronics, household goods, beauty items, sporting equipment, and handmade items. It’s free to list on Mercari. There is a 10% selling fee on all transactions. You’ll be shipping the item with a mailing label supplied to you once the clothing has sold. Another website that lets you sell just about everything is Bonanza. Womens and mens clothing can be sold, along with a variety of other household items. This site does have a section for formal and wedding clothing and accessories. If you are buying on Bonanza, you can get extra cash back with Ebates (plus a $10 bonus for new users). This site is all about handbags. Nothing else. Buy and sell your handbags and purses on Rebag. These are quite pricey purses with luxury name brands. The commission for selling clothes online with Crossroads is 70% – which means you keep 30% of what the clothes sell for. In store you’ll either receive 33% of the value in cash, or 50% in Crossroads credit. Another app that offers buying and selling features for clothing is Depop.com. There is a 10% fee, plus small additional fees depending on some selling choices that you make. Sell women’s and mens luxury clothing, fine jewelry and handbags online at The RealReal. You can also consign watches, home decor and fine art. The RealReal does have a list of brands they accept. When your item does sell, you’ll get paid in cash or site credit. Commissions range from 50-70% in fees. This luxury retail store has some serious high end brands (I just saw an Hermes handbag for nearly $12,000). If you’ve got designer brands that fit this category, you can sell online at Vestiaire Collective and expect fees to range from 18-50% of the selling price. If you’re buying on Vestiaire Collective, you can get extra cash back using Ebates (plus a $10 bonus for new accounts with the free app). High end brands are accepted on Material World only for women’s clothing. Request a free box to send in your designer clothing, shoes and accessories. You’ll be sent an offer. Choose whether to accept or deny it. If you choose Material World’s offer for your gently used or new clothing, it’s an upfront payment. You do not need to wait until the clothes sell to get paid. Unaccepted clothing can be returned for a fee or donated. The good thing about Material World is that they have a calculator on their website. You can choose a designer brand and what you’d be shipping and get a rough estimate of what you might be offered. You can either get paid cash in PayPal with a 3% transaction fee or use the balance to shop on Material World with a 10% cash bonus. Sell women’s and kids clothes online with Schoola and help to raise money for schools. YOU will not get any money. Instead, your donations of clothing will go towards your school or a partner cause. This is a great option if you want an easy way to donate your clothing online but don’t want to worry about payment or deciding what to do with unaccepted items. 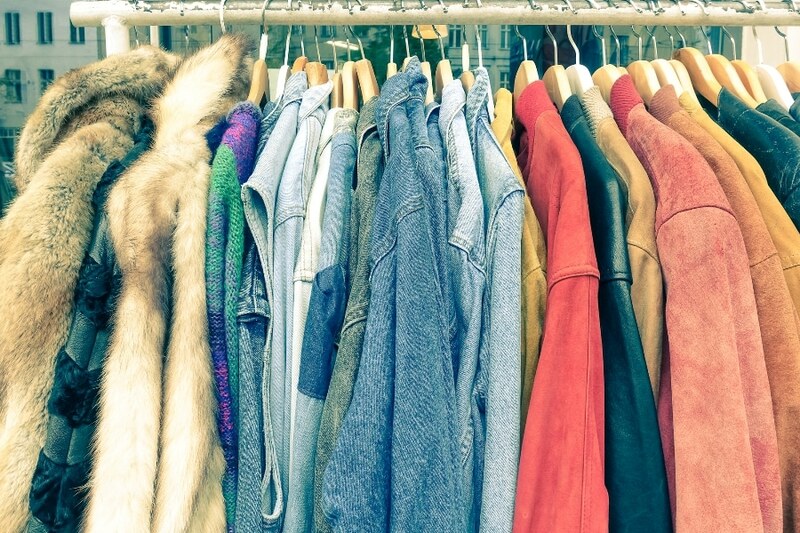 You’ll print a label and send in the clothing that retailed for at least $30. 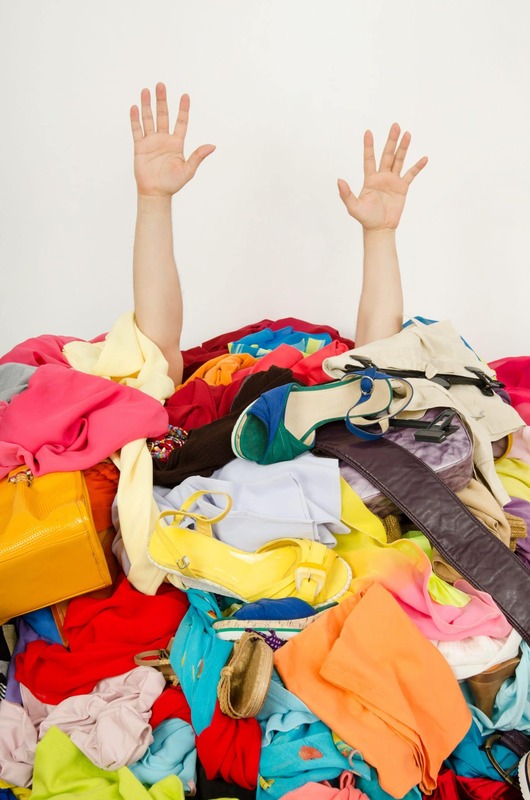 If you buy clothing online, here’s some great information on how to get smells out of thrift store clothes or clothes. Also, check out my reviews for buying clothing online with thredUp sales and thredUp Goody Boxes. Dollar General stores sell a spray bottle of Fabric Refresher that works great. Use it on my thrift store clothes all the time!! Ann, Glad you found a product that works great for you! These are some useful tips for families who wants to earn some extra money. We are happy to share with you news about online listing platform for selling and buying pre-owned kids goods by eliminating third party participation. You can sell or buy anything related to kids, such as clothes, toys&games, baby essentials, car seats, bedding, etc. Instead of storing kids goods in a closet or garage, we are giving a chance to parents sell pre-owned kids items and buy pre-owned kids goods with affordable prices. And since listing is Free, no commission on selling or buying, you’ll make more money selling with us than anywhere else! Just visit our website http://www.KidsGoodsStore.com.